Photo: Actress Kavita Radheshyam, actor Nirab and director Faisal Saif. 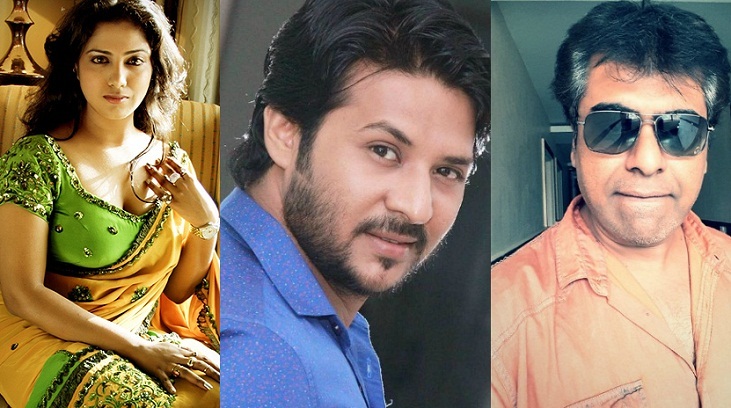 Bangladeshi actor Nirab now casts in a central character of a Bollywood film titled ‘Bala’. Nirab will share screen with Bollywood actress Kavita Radheshyam, popular for the film Connor and her sexiest image, in the film. The actor has signed in the contract paper of the film on Monday at Bangalore in India. Directed by Bollywood film maker Faisal Saif, the shooting of the movie is scheduled to be started at the end of upcoming September at different locations in Mumbai, Delhi and Bangalore in India. “This is undoubtedly a great opportunity for me to be acted in Bollywood. I will try my level best to make the film a success,” Nirab said.